There are plenty of epic cities in the world, and most of them are known for distinct and specific things. Paris, the Eiffel Tower, and the Louvre; London, Big Ben, and the Houses of Parliament; Los Angeles, Hollywood. But, on many occasions, cities hold secrets that we never knew about before, and these totally change our initial impressions of the city. There are so many places in the world with hidden secrets we are still trying to discover. When you take a vacation, you want a city that’s going to offer you something a bit different. A city that’s going to offer you a secret to unlock – and Buenos Aires would be a fine choice. The capital of Argentina is an important hub of South America but also has a mysterious and exciting secret. In 1985, Buenos Aires resident Jorge Eckstein bought an abandoned mansion near his home, in the historic San Telmo neighborhood of the city. Eckstein planned to convert it into a restaurant, which he figured would take a lot of work, and he set to work beginning renovations – but nothing could have prepared him for his discovery. During the process, Eckstein discovered the foundations of the home were unstable, and that the patio floor was sinking in. On closer inspection, it was revealed that a complex labyrinth of tunnels lay beneath the mansion. The mansion was originally believed to have been abandoned in the late 1800s, following an outbreak of Yellow Fever. For a while, in the 20th Century, it was used for tenement housing, but it had become completely abandoned again by the 1980s. The complex tunnels ran all the way under the mansion, which was built on a complex drainage system. What Eckstein stumbled upon would become one of the most important archaeological discoveries, and sites, in the city. The idea of a mysterious subterranean world has long been a part of Buenos Aires culture, with many tales told about it. So, the underground tunnel was discovered to run almost 2 km, but to what end? Well, it seems as though the tunnels were originally built back in 1780, and were designed to try to prevent flooding. Today Eckstein’s mansion is a museum all about the labyrinth, with entrance to the refurbished tunnels, and displaying items found during the excavation. It is staggering to think that there were whispers about these tunnels, through story and word-of-mouth. And this museum allows people to experience such a profound and interesting architectural find. 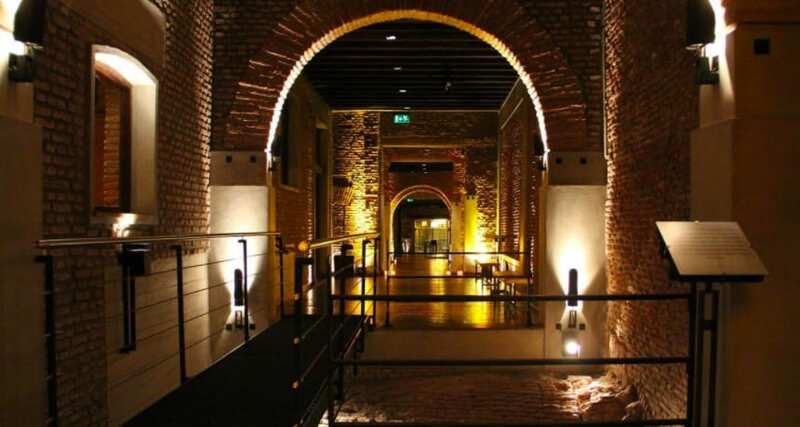 If you ever have the opportunity to visit Buenos Aires, you absolutely have to check out this stunning archaeological find. It gives a whole new dimension to the city, and it’s one of the great secrets of Buenos Aires just waiting to be unlocked. There are so many excellent opportunities and advantages in this city, and visiting these mysterious and atmospheric tunnels under the city is the way to get the most out of a trip here. There aren’t many places in the world where you’ll be able to experience something this awesome.